I am not a fan of Papa Murphy's Pizza but these ingredients (crispy bacon, canadian bacon, and pepper bacon) could be a bit of a game changer. 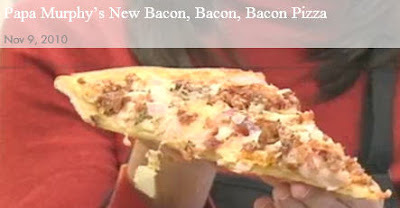 Not familiar with Papa Murphy's, but I am quite familiar with bacon. Sounds like a winner to me. I do not like Papa Murphy's but bacon is always a great addition. I am also not that familiar with Papa Murphy's, but it looks like something worth trying. Papa Murphy's is a take and bake place where they make the pizza fresh in their store and then you bake it at home in you own oven. Like I said, I am not a fan but I have tried them on occasion.